If you are reading this, you likely are in one of two categories. Either you already have a website that’s been around since floppy disks and desperately needs to catch up to the 21st century OR you have your counseling practice listed on Yelp and other directories but have never made the leap to establishing your own website. Don’t fret though, creating a website does not have to take you away from your current practice and clients. Understanding what information needs to be included on your website is the most challenging aspect. That’s where I come in. I have helped counseling practices develop a strategy and the content for their website and in the next few minutes, I will help you as well. If you are in the boat of “I need to update my website,” you’ve come to the right place. I will provide you with a handful of key components that will allow you to take your website from a paddle boat to a speed boat when it comes to reaching your target audience. 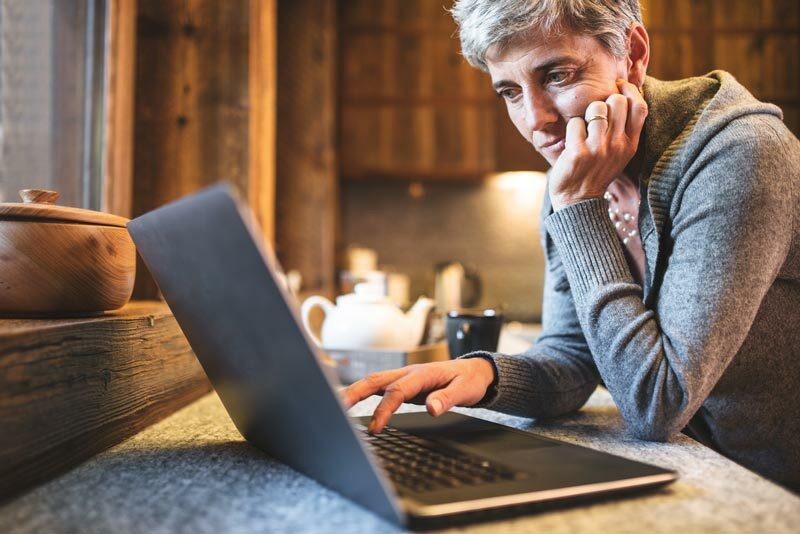 You’ve only got a few precious seconds to connect with your website visitors and let them know that your therapy services can help them with the issues they’re facing. With a notepad or a blank Word Doc in front of you, take some time to think about your potential and existing clients and their state of mind as they’re searching for a therapist they can trust with their problem. Then write the content for your website from that place. A website, specifically the landing/home page, should explain 1) who you help and 2) what you help them achieve. Your landing page needs to be like an elevator pitch in order to quickly let the visitor know if they are in the right place. 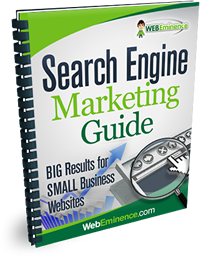 Most visitors are on a website less than 59 seconds! Another great strategy is to include questions to connect with your visitors and let them know you can relate to the pain or challenge they find themselves in. Is pain from your past or worries about the future making it hard to enjoy the present? Do you find yourself on the brink of divorce, wondering if there’s any hope at turning your relationship around? Do you struggle to find the passion and joy in your life? KEY QUESTION: what do you help your clients achieve? Once you have the answer, make that answer extremely clear on your therapy website’s homepage. If you are looking for a template, you may want to check out ArborCounselingCenter.com as they recently updated their website and can offer some great insight as to what can and should be included. The three most important pages are going to be your Home, About, and Contact Page. So let’s take a couple minutes to discuss what is required to make those pages as effective as possible on your website. No doubt about it, your homepage is one the first impressions your future clients will have of you and your private practice. With just mere seconds to grab the attention of a website visitor, it’s important to know what to put on your private practice website’s homepage. You only have a few seconds to let your website visitors know they’re in the right place. Create a clear and simple headline that speaks to your potential clients and let’s them know where you are and who you serve in your practice and the outcome you help them achieve. This is your quick chance to convey the benefits of working with you, so think about your ideal client and what they want to achieve and write your headline from that place. For the Arbor Counseling page, it was important to communicate the large number of counselors available at 4 locations in the Chicago area. We accomplished this with a picture and a few large text headings that appear first on the home page. 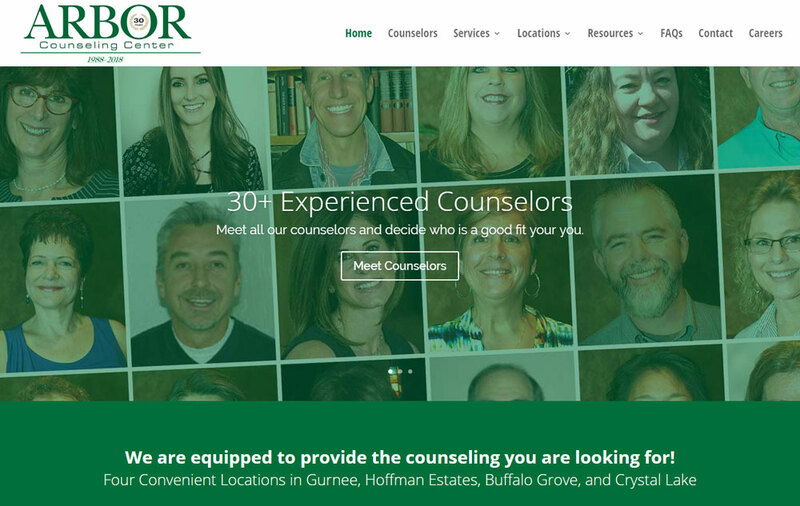 The “Our Counselors” or, in the case of a solo-practice, the “About Me” page is often one of the highest trafficked pages on a counseling website. Prospective clients are attracted to these pages as they typically include headshots and bios of the practice’s clinicians. Counseling is a very personal matter and prospective clients will want to know the individual they will be sitting with and feel very comfortable with them. Make sure this page is easy to find, and accessible from every other page on the website. If you don’t have a good photo, consider hiring a professional photographer. If a professional photo brings in a single new long-term client, your professional photographer will easily pay for themselves. For more information about including a photo on your website, check out this comprehensive blog post on personal photos. I would recommend including an image of the outside of your building. This can help clients find your office when arriving for a first session. First time clients are nervous enough. You don’t want them concerned if they are entering the right place. Also, include interior pictures. If they are well done, will show clients the care you’ve spent outfitting a clean, comfortable space. People should already know WHERE you are from your home page headline but the contact page should have a map marker and address. By the time they see your contact page, they will know your address, exactly where you are on a map, and what the building looks like! This one should be a no-brainer. Your clients want to contact you and they may not want to pick up the phone just yet, so make it easy for them with a built-in contact form. I always tell my clients, “You want to keep the ball in your court.” You want to be able to follow up with them, and NOT wait for them to someday contact you. You may be thinking, “I already have my email address –isn’t that enough?” Unfortunately, the answer is no. An email address is inconvenient for clients, because they need to open a separate email program to contact you. Once your content is complete, you’ll want to take some time to make sure that your overall website is user-friendly. Here are FOUR key components to ensuring that your visitors have a good experience accessing the information and ultimately your services. There’s nothing more frustrating to me than landing on a website and not being able to find the information I’m looking for. One way that you can minimize the frustrations of your website visitors and make the important stuff shine is to be really concise and clear with our navigation menus. Do your best to create a clear structure for your navigation menus putting only the essential pages in the main navigation with secondary pages nested underneath in a parent menu structure. You can think about it like a well-organized set of folders on your computer. In order to drill down to specific info, it helps to have a few set of top tier folders, with relevant information within those folders. This is especially important for your Resources page where there might be a lot of links in different categories. It’s acceptable to have a few parent links (maybe 4-5) within your content that leads folks to relevant information on your website, but try not go overboard so that it becomes a distraction and people don’t know where to click. External links to other websites are useful too, but I would recommend against a ton of links that lead visitors away from your site. You do not want to make your website visitors go on a scavenger hunt to find your practice’s address or phone number. Make sure the information is visible on every page. Often the footer (bottom) is a common location that works well. A phone number in the header (top) of each page is also a convenient location. For years now, mobile internet usage has exceeded PC internet usage. In other words, majority of your potential clients will visit you on their mobile phones. You can’t afford to ignore this information. So make sure your website is mobile friendly. The most important step here is to make sure that your website uses what’s called a “responsive” design, which ensures that your web pages will resize themselves automatically to fit a smaller mobile screen. Check out my post – Is my website mobile responsive? The easiest option is to test using Google’s mobile friendly tool. You also may want to test your site on your own mobile phone. Even if Google’s tool gives it a passing rating, there is no substitute for seeing it for yourself. Browse through the website on your phone after viewing it on your computer and see if you can find any formatting errors or any areas that are difficult to navigte. If Google’s tool gives your site a failing grade, or if your website doesn’t look pleasing to the eye on your phone, it may be time to give your website a facelift (or invest in a new website.) While a new website can be an investment, losing customers due to an outdated website is likely more expensive. I will give you a few recommendations as to how to update or rebuild your website at the end of this post. The final element for a successful counseling website is a clear call to action. You want to frame the next step that your potential clients should take when they get to the end of your content. Try to choose just one action you want them to take and make it prominent. Do you have a free phone consultation you can offer? Or do you want them to simply fill out the contact form and start a conversation about counseling? Think about what your visitor needs to do in order to become a client after looking at your homepage, then make it simple for them to take the next step. 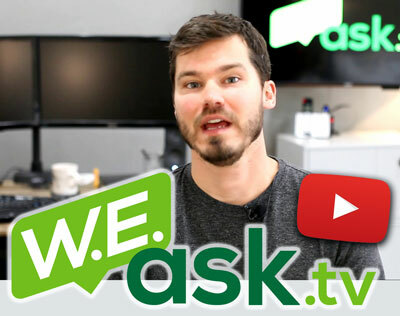 SquareSpace, Wix, and Weebly are just three of the multitude of platforms on which one can build a DIY website. These platforms require zero knowledge of “coding” and are extremely affordable starting at just a few dollars a month. However, the upfront time investment and long-term maintenance may be enough reason to hire someone to build and manage your website. After all, your time is your most valuable asset especially in the counseling realm. If you find yourself wanting to outsource the creation and management process, I would highly recommend looking into our affordable website package. We have built over 300 websites in the last 7 years and completed dozens of website re-designs. 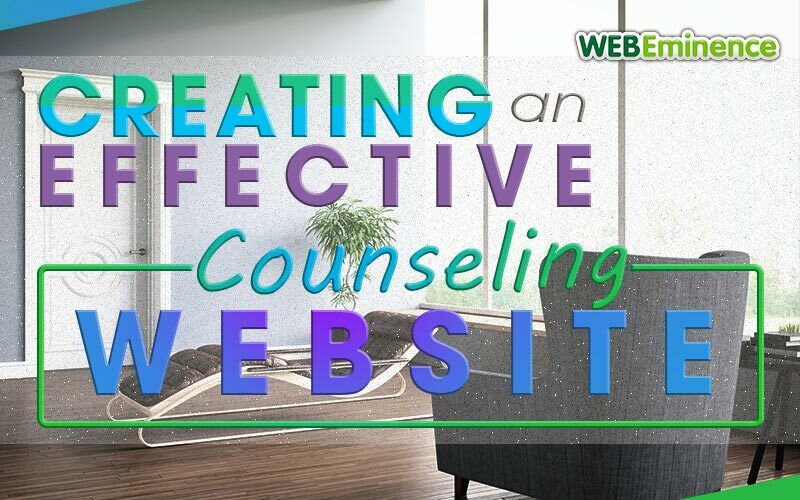 He and his team expertise to give your counseling practice the website it needs.